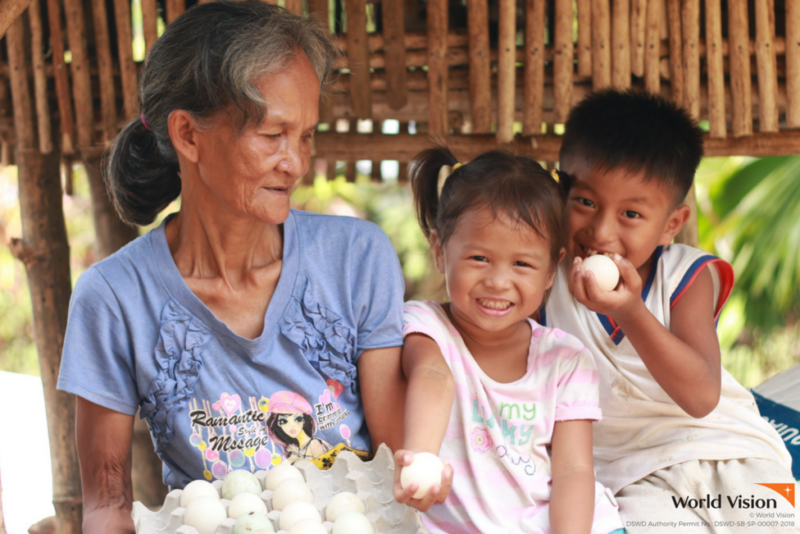 According to 63-year old Venie, the least she could do to show her gratitude to her grandchild’s sponsor is to be a good steward of the resources given to her. She never wavered in that commitment. 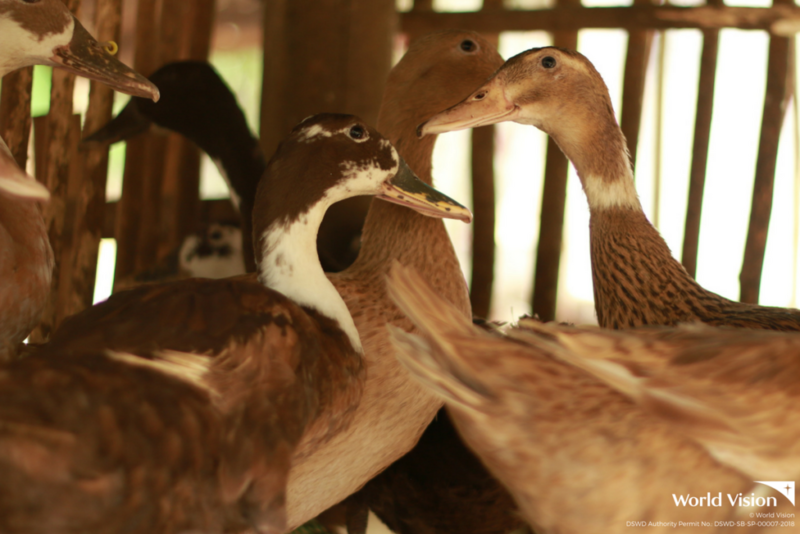 In August 2017, she received 11 egg-laying ducks to help augment her income as a sugarcane farm worker. Six months since then, she was able to multiply the ducks and now has at least 35 ducklings. “Each week, I harvest at least 60 pieces of eggs from the 11 ducks given to me. My grandchildren and I consume some of it and I sell the rest,” smiles Venie. Prior to giving her the ducks, she underwent a training and was also linked to a buyer so she can sell her products. 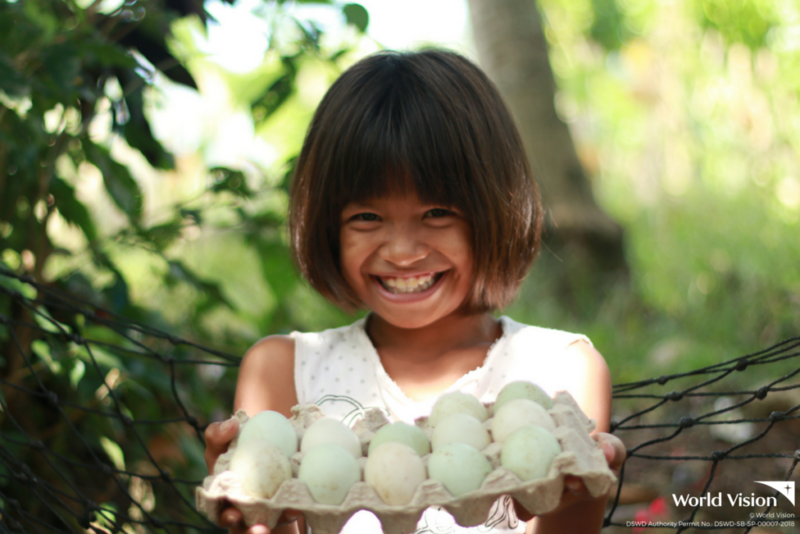 For each tray which has about 30 eggs, she earns at least P250. Despite her old age, Venie works as hard as she could to provide for her three grandchildren aged 7, 5, and 4, respectively. The kids were left under her care when their parents separated. “My income as a sugarcane farmer was never enough. 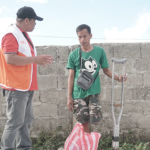 I earn P180 per day and it is not a steady income. When the children started going to school, providing for their daily needs became more difficult,” she shares. 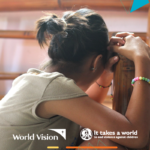 When 10-year old Jhana became part of World Vision’s sponsorship program in 2015, the family was able to get some help. “Grandma no longer needs to worry about my school supplies. 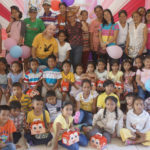 The gifts I receive from my sponsor, including the Noche Buena pack, also get me and my siblings excited every time,” she says. Jhana, along with her siblings, Princess and David, would help their grandma look after the ducks. Noel Peligrino, program officer in the area, says that livelihood support to families keeps children away from the lure of child labor. 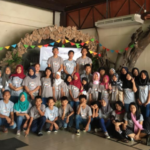 In the 2007 National Statistics data and UNICEF’s Sixth Country Programme for Children data, of the 799,000 child laborers in the country, 22% came from the Province of Bukidnon. Jhana dreams to be a policewoman one day.